This is a tanker wagon dedicated for transportation of fuel oil (petrol and diesel). 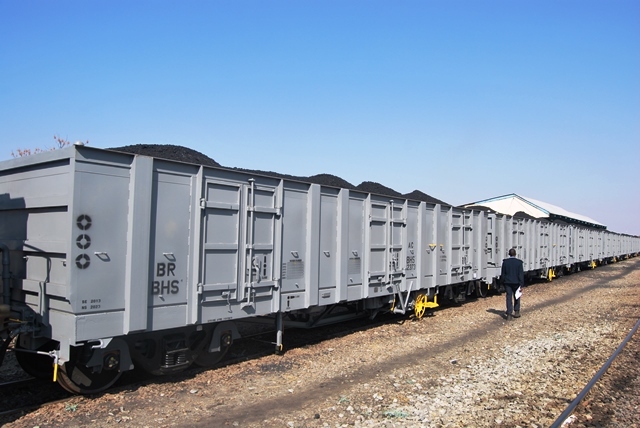 Covered top loading and bottom discharge hopper wagon dedicated to loading of soda ash. It can also be used for loading commodities such as grain, salt, etc where bottom discharge of medium is desired. Open top wagon with two doors one on each side and is used for loading bulk loose unpacked salt. When loaded, the top is covered with a tarpaulin to prevent contamination.